For as long as I remember, Grandmother’s house was one of my favorite places to visit. She always had fresh baked fruit pies, seasoned pretzels, cookies, fruit, and my favorite: her delicious apple dumplings. To make a long story short, my grandmother started baking shoo-fly pies for a small road side market approximately fourty years ago. 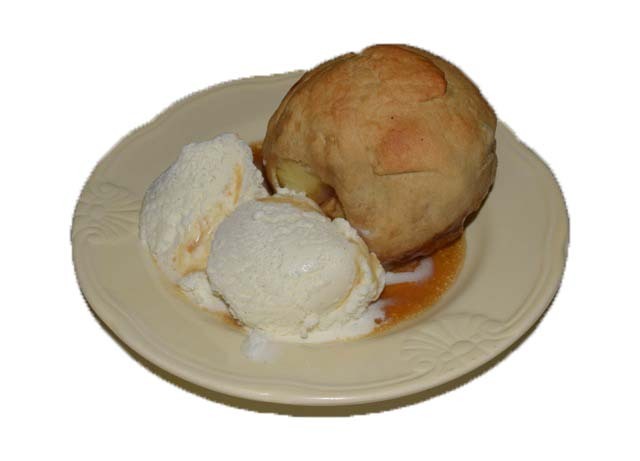 My grandmother added fresh fruit pies to the list, and eventually started making apple dumplings were an immediate hit with everyone that tried them. 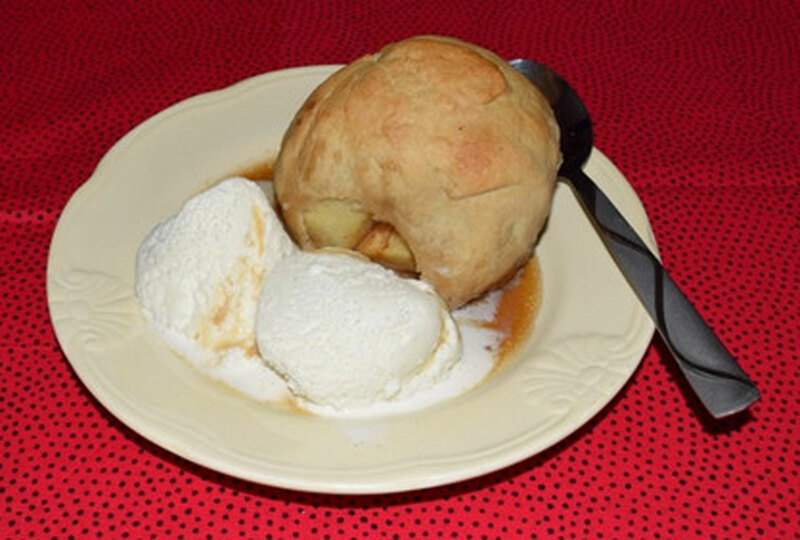 The sweet syrup, the fruit, and the pastry dough were a delectable combination that she became known for. Grandmothers pastries were sold at farmer’s markets, trade shows, grocery stores and fairs. When I was growing up, I went over to her house all the time to help her bake. I treasure the memories that were made (such as me and my cousin making such a mess while helping). I still make the dumplings every now and then for friends- they’re especially delicious served with vanilla icecream! 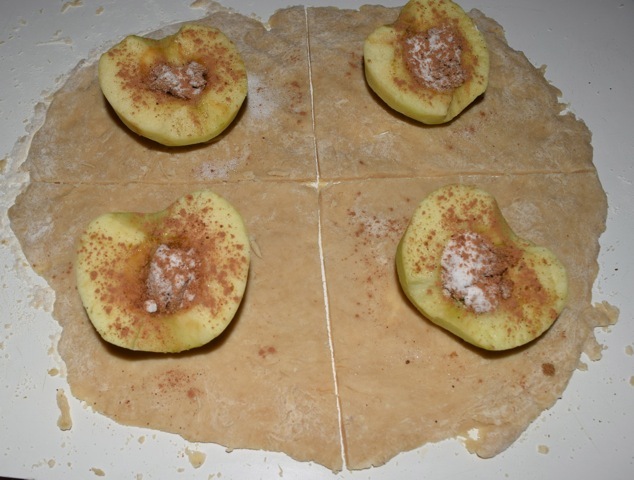 Looks delicious and is easy to make. I will try this dessert for Thanksgiving and share it with family. Can I use any apple? I apologize about the late reply. You can use any apple, but they taste very different from each other. If you like your apples more tart, try Granny Smith. If you like a sweeter dessert, try red delicious or golden delicious. 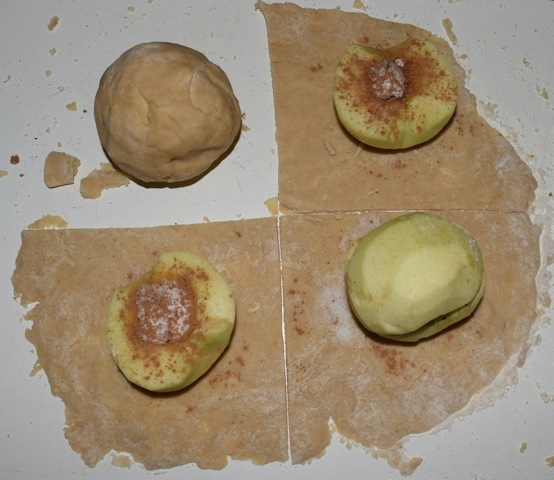 The sweeter the apple, the sweeter the dumplings will be. 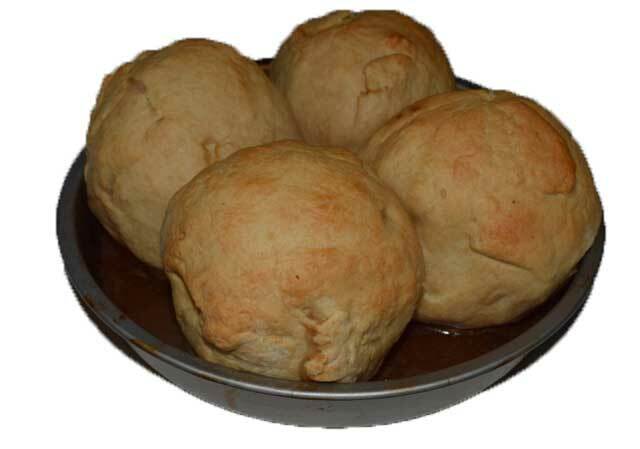 Chocolate chip cookies were amazing,,,, thank you soooo much for sharing these recipes,, now i will be making the apple dumplings…. wishing you all the very best in all you do… your a Beautiful Person with a Big Heart… From Noreen McCambridge Montreal, Quebec.. I am glad that you liked the cookies. My friends raved about them over Thanksgiving. The recipes are an all time favorite.. enjoy. I will definitely try these and the carrot cake!! Thanks Kate! These look delicious! I can’t wait to try them and a couple of the other recipes. How much syrup and water do you use – 1 cup of each? I use 50/50 sugar and water, so you can just make however much you like to have on your dumplings. I usually use approximately 1 cup for 3 dumplings.